Conveniently located in historic downtown Red Bank, NJ, our full service family dental practice has served thousands of patients over the past 30 years. 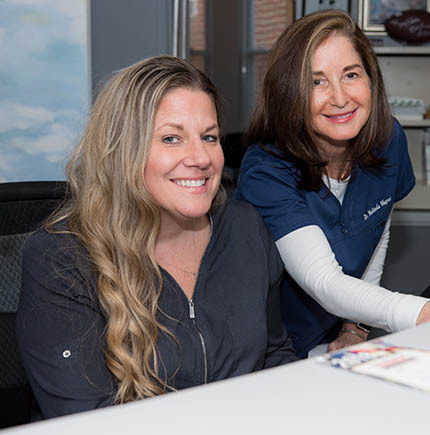 We offer residents from Monmouth County New Jersey and the Jersey Shore one of the most highly-trained dentists and staff, who are ready and eager to help you with your oral health. Our best advertisement is your smile! We are a gentle, patient, and caring practice that combines the warmth and friendliness of a small practice dentistry with the latest technology to ensure that patients receive the best dental outcomes. We are a multi-disciplinary practice and, when necessary, leverage the expertise of other health care professionals. From routine preventive care to more extensive dental needs, Dr. Wagner and her staff give their patients a positive dental experience. Our patients actually look forward to their next visit. We welcome any questions about our practice and the general, cosmetic, and restorative procedures that we offer including periodontal treatment and treatment for temporomandibular disorders. For any questions or to set up an appointment, please give us a call at 732-747-2032.